When he left Karting for cars in 2011 at just 15 years old, Pierre Gasly made a bold decision. He was indeed one of the first not to continue in the Senior categories. Esteban Ocon followed the same path a year later, while Charles Leclerc stayed until KZ. Different choices did not prevent these three hopefuls from arriving in Formula 1 a few years later. A Scuderia Toro Rosso driver in 2018 at age 21, Gasly will join the Aston Martin Red Bull Racing team in 2019 alongside Max Verstappen. Like all Drivers, I have a lot of good memories of Karting. It’s a very intense discipline that marks a lifetime. Plus, it’s a time when family and childhood friends are very close. 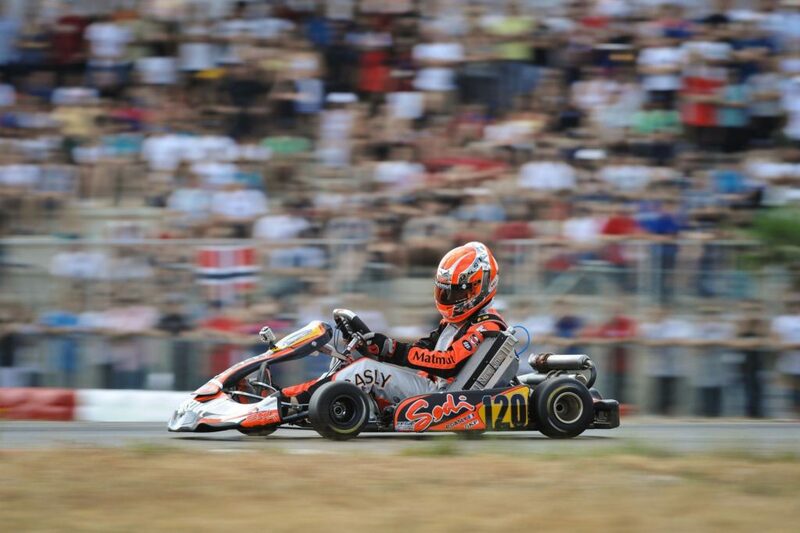 I started at nine years old in Minikart before continuing in the Minime then Cadet categories in France. Since entering international Competition, the good results continued with Sodikart. In 2009 I was on the podium of the CIK-FIA KF3 World Cup at Sarno, a crucial moment for me. Shortly afterwards, I discovered the United States and Las Vegas at the Supernationals and again took 3rd place in TaG Junior. The following year, I had the satisfaction of becoming European Vice-Champion in KF3 at Genk. Alexander Albon won and Max Verstappen finished 5th. It is impossible to ignore Karting. This is where you learn everything: the basics of driving, of course, but also the sense of attack and the management of a race weekend or a Championship. Knowing how to surpass oneself and look for the last hundredths at the age of 10 is fundamental to succeeding afterwards. Today’s young people are even learning to work with data acquisition. I always drive karts with friends for fun or for my own pleasure in KZ. Karting provides unequalled sensations! In the first place, you must know what you want and want it very much. It’s the rage to win that makes the difference. The mental strength is essential, you must pay attention to the smallest details and always remain focused on victory.